Our beloved Davey, wife, sister and aunt unexpectedly returned home to the loving arms of her heavenly father on December 27, 2017. 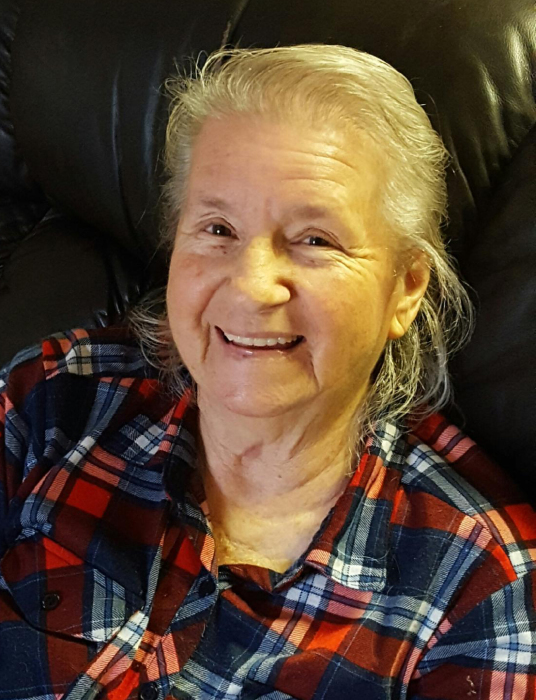 She passed away at her home in Rocky Ridge, Utah. Davey was born the third child to Charles and Ruth Lords Edwards on December 18, 1936 in McCammon, Idaho. She joined a sister, Jane and a brother Larry. Another sister, Marilyn arrived after Davey. Following her parents divorce Ruth married Claude Bronson. Brother Steve arrived and two more sisters, Melody and Toni. The family was complete with the addition of Claude’s older children. Sons: Bill and Tom, daughters: Gene, Ellen and Betty. The growing family followed Claude as he worked road construction in the 1940’s. They lived in many places and in homes with dirt floors and no indoor plumbing. One place they called home was a tent in Mesa, AZ with scorpions and rattle snakes. They also lived in the Sierra Madre Mountains in Old Mexico, they were the only English speaking family there. Life was hard, but they always had each other. Going to school took a backseat at most times. In the 1960’s Grandma, Grandpa and Davey moved to the Granite Ranch in Trout Creek, Utah. Davey loved living on the ranch, riding horses and working the cows and sheep. She suffered multiple broken bones during her cowgirl ranch hand days. She never let that stop her from getting right back on the horse after she healed up. Cancer struck Davey in 1968. The prognosis wasn’t good. After surgery the Doctor’s told her she had 3 months to live. They sent her home and told her not to ride her horse. She promptly went home, got on her horse and rode out into the fields. She never did listen to the Doctor’s. 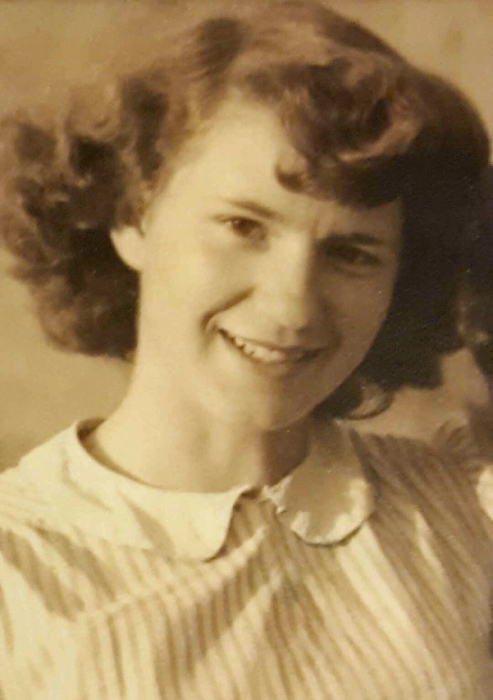 Her days were spent working on the ranch, fishing and camping with her family, playing beautiful music on the organ, working on her many crochet and sewing projects. Singing with her mother and sisters also brought her lots of joy. She had many little nieces and nephews around to spoil and love. Teaching us how to ride horses and work the cows. There was probably some scolding that went along with the love. We could not have asked for a better friend and aunt. Davey met and married Bill Higgins in Fillmore, Utah. She gained four children, their spouses and many grandchildren, whom she adored. They enjoyed many happy years together. Several years after Bill’s death, she met and married Sheldon Lewis. Spending ten happy years at his side, riding horses, chasing cows, camping and fishing. Davey accompanied Sheldon on his many handyman jobs, helping in any way she could. She was happiest when she was helping and serving others. Davey had an infectious smile, quick wit and great sense of humor. She had a great love of the gospel and was a remarkable woman of faith. She was adored and much loved and will be greatly missed. Davey is survived by her loving husband Sheldon Lewis of Rocky Ridge, UT; Siblings: Marilyn (Gene, deceased) Rogers, of Oak City, UT; Steve (Lynda) Bronson of Hinckley, UT; Melody (George, deceased) Leavitt of Raton, NM; Toni Franklin, Santaquin, UT; Bill (Linda) Bronson of Trout Creek, UT; Ellen Spencer of Nevada; Many nieces & nephews; the Lewis Family; the Higgins Family; countless dear friends and her loyal companion Shorty. Preceded in death by her parents, husband Bill Higgins, brothers: Larry Bronson and Tom Bronson; sisters: Ruth Jane Leavitt, Gene Bray, and Betty Fillmore. Funeral service will be held Thursday, January 4, 2017 at 11:00 AM at the Rocky Ridge Chapel (157 N. East Ridge Rd., Rocky Ridge, Utah). A viewing will be held Wednesday, January 3, 2017 from 6:00 to 8:00 PM and Thursday prior to the services from 9:30 to 10:30 AM both at the Rocky Ridge Chapel. Interment will be at the Rocky Ridge Cemetery under the care of Olpin Stevens Funeral Home. Online condolences can be offered at www.olpinstevensfuneralhome.com.